Memphis Tours provides you with a large collection of maps of the famous cities and places in Egypt. 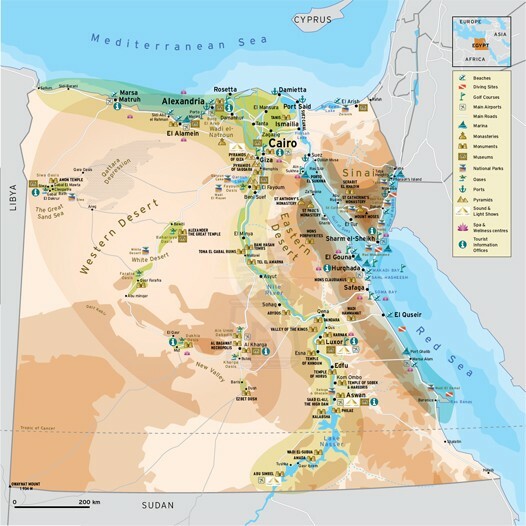 Learning about the Ancient Egyptian History, you will have to have an idea about where each city is located and how the Paharohs built their civilization strating in Upper Egypt and down the Nile to Cairo. In case you are planning to visit Egypt it would also be helpful to know where it would be better to start and which way to go.